I'm not a big jewellery person to be honest. I won a fair amount of it, but I have to be in the right kind of mood to be wearing it. 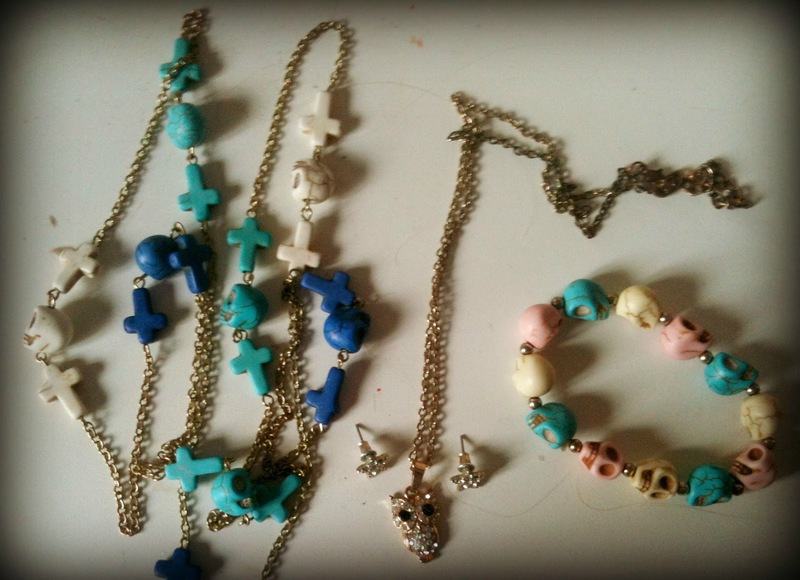 So I thought I would show you the pieces that I wear the most. This is my favourite bracelet of the moment. I bought it in Matalan during my graduation week, and normally if I'm wearing anything, it's this. 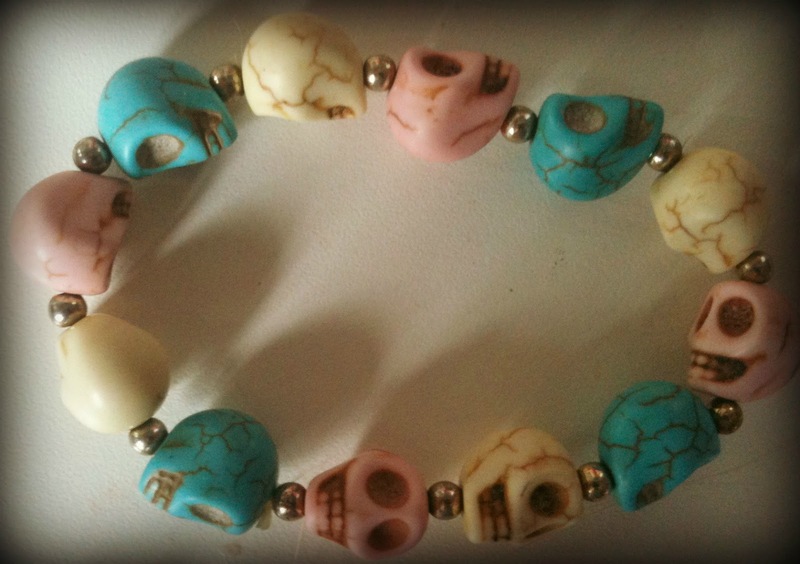 I'm a massive fan of Tim Burton, and this bracelet really reminds me of his style. Plus it's in pretty pastel colours, which makes it both cool, and a little girly. I bought this necklace for the same reason as above. Also because blue is my favourite colour. 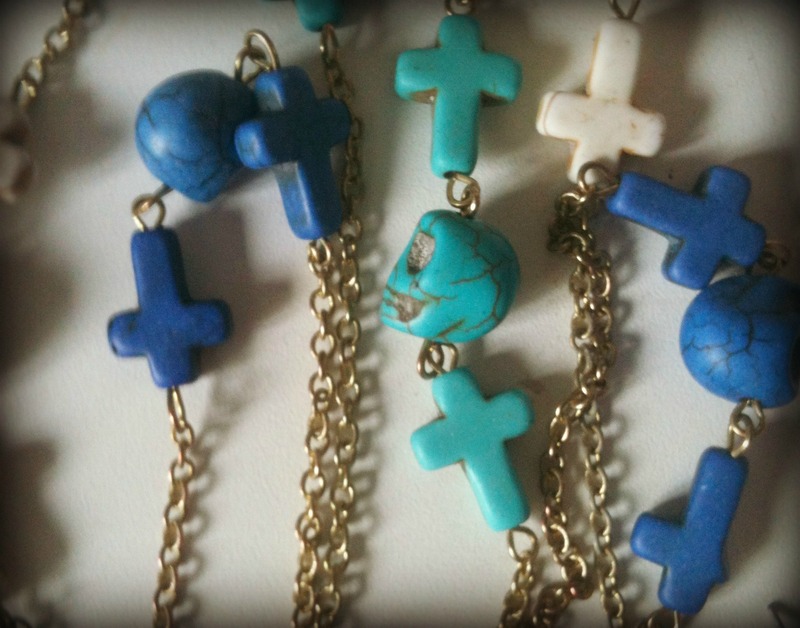 As soon as I saw this necklace from across the store in New Look, I gravitated towards it and knew it had to be mine! It has the same skulls as the bracelet, and I also own it in pink and white. I just couldn't resist it. These two pieces are definitely the ones that get the most wear for me, and that's actually really unusual, because it's a gold colour, and I MUCH prefer silver. 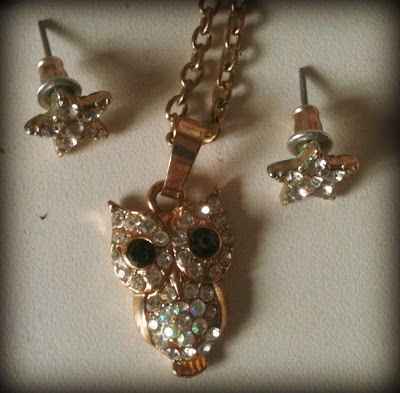 My sister bought me this necklace, and I bought the earrings from New Look. They go perfectly together because they are the same style, and they are really easy to wear. Also I am totally obsessed with owls... that is all. So there we have it, a little insight to my favourite pieces of jewellery! Let me know in the comments what your favourite piece is. Berkshire Bloggers do #SBBC: Photo from my day. Berkshire Bloggers do #SBBC: Travel Dreams!